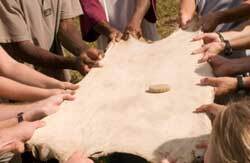 Come learn the ancient art of making brain tanned buckskin! 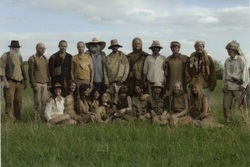 In this three day workshop each person will tan a deer hide in the way that the Native Americans did it for centuries. You will go home with a baby soft piece of material that would make a mama proud! Braintan is highly cherished and revered in some circles and sells for a pretty penny~ but it is doubtful that you will want to part with your first one! 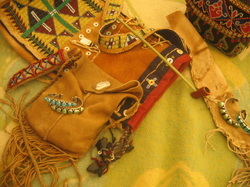 It can be used to make beautiful clothes, bags, moccasins, sandals, blankets, necklaces, etc. The class will be taught by expert brain tanner Christina Gorden. 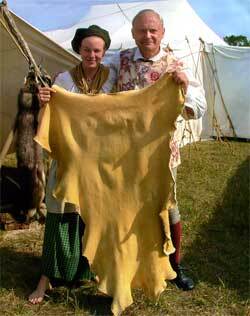 The following weekend, September 16-17 we will be making gorgeous and useful buckskin bags with the fine craftsman Tim Phillips. Sign up for both workshops and receive a sweet package deal discount! $150 for each workshop or $250 for both! Cost: $150 this includes the three day workshop, some farm fresh local organic meals (sat. and sun. breakfast and sat. dinner), and lodging. We will have a potluck dinner on Friday night. Everyone is responsible for their own lunches.